why cant you both come up and pay us a visit before springs work begins. you have not been to see us since we were married and my wife would be pleased to have you come for she is not yet acquainted with you. Mary & Albert were here Sunday they told me that mother was in moving every day. 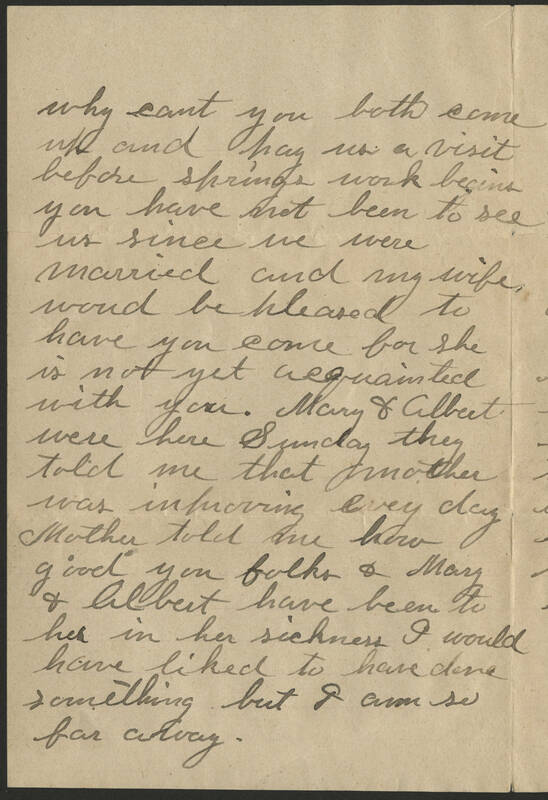 Mother told me how good you folks & Mary & Albert have been to her in her sickness. I would have liked to have done something but I am so far away.